Ink, chalk, watercolor and gouache on paper. Edward Wadsworth, the son of a magnate from the Bradford area, was raised in an industrial environment that was to appear in his works. He studied at the Slade School and took part in the activities of the Rebel Art Centre founded by Wyndham Lewis, which gave rise to the Vorticist movement. 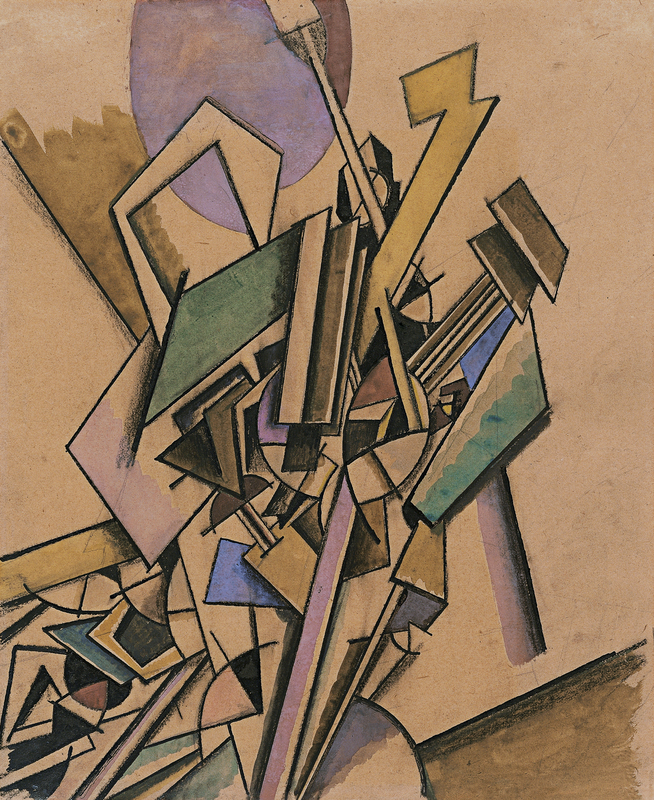 Wadsworth was interested in the writings of Wassily Kandinsky, which he translated for the magazine Blast No. I, and was also fascinated by the world of machines, which soon became the main motif in his painting. 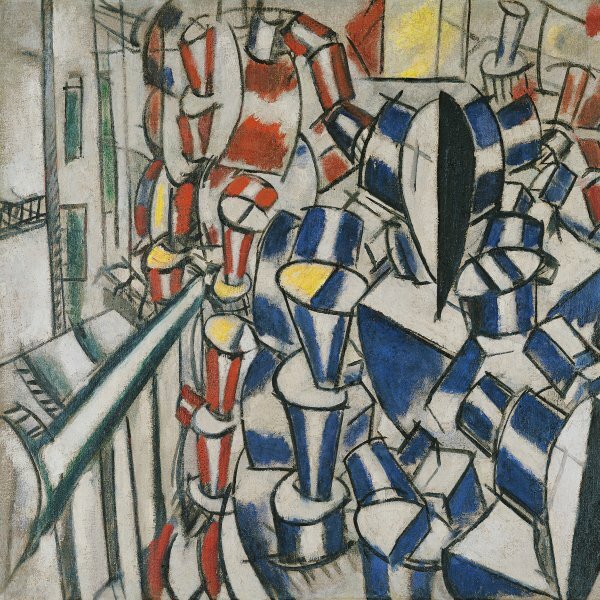 However, although he attended the dinner held in honour of Filippo Tomaso Marinetti at the Florence restaurant in London in 1913, Wadsworth shared Lewis’s reservations about Futurism.